Taiwan weather can be fierce. Never mistake this pretty little sub-tropical Asian island for a Caribbean paradise where the suns shines all year without a hitch. You may already know how much I love the place. But if you don’t choose the best time to visit Taiwan, man, you might be in for a not-so pleasant surprise. Choosing when to visit Taiwan can spell the difference between frolicking in the sun under blue skies or getting drenched in storms with winds strong enough to send shih tzus flying through the streets of Taipei. Don’t get stressed. With this quick guide I’ll help you choose the best month to visit Taiwan and avoid the worst Taiwan weather to ensure your first trip to Taiwan is a success! The verdict: When is the best time to visit Taiwan? Why Visit Taiwan in November? Why Visit Taiwan in April? Taiwan is split between two distinct climate zones. Northern Taiwan lies within a sub-tropical zone while Southern Taiwan sits within the tropical zone along with its close neighbour Hong Kong. The differences between the two regions are usually not huge, certainly nothing like the variation you’ll find in nearby Japan or Korea. Most of Taiwan is warm year-round with mild winters and hot summers. But warmth is not the issue here. The real problem with weather in Taiwan is typhoon season, often lasting from July until September. You’ve probably witnessed some epic Taiwanese typhoons on your local news channel. This is exactly the type of weather you want to avoid when planning your trip to Taiwan! Ready to travel to Taiwan? Don’t forget to protect yourself with travel insurance! 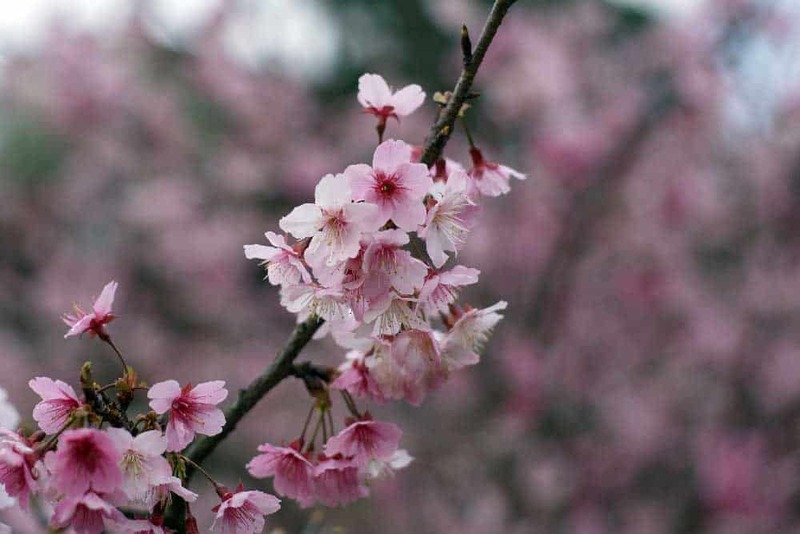 When is spring in Taiwan: From March until May. What to expect in spring in Taiwan: Warm weather throughout Taiwan. Average lows are between 15ºC and 22ºC (58ºF and 71ºF) and average highs are between 19ºC and 27ºC (65ºF and 79ºF). What to wear in Taiwan in spring: A light long-sleeved shirt during the day and a heavier long-sleeved shirt for nighttime should be enough to keep you comfortable. (Or, if you’re Canadian, just a short-sleeved shirt!) Keep a lightweight waterproof jacket handy in your daypack. Need a good value rain jacket for spring in Taiwan? I picked up an older version of this Columbia Men’s Watertight II Rain Jacket a couple years back. It’s made from high-quality fabric, packs tightly into your travel backpack, and keeps you dry in the warmer weather of spring in Taiwan. For women, the Columbia Women’s Arcadia II Jacket also pulls it off well. When is summer in Taiwan: From June until August. What to expect in summer in Taiwan: Hot and humid throughout Taiwan with thunderstorms and typhoons. Average lows are between 24ºC and 28ºC (72ºF and 82ºF) and average highs are between 27ºC and 31ºC (80ºF and 87ºF). The crazy humidity pushes those highs even higher. What to wear in Taiwan in summer: Short-sleeves and shorts should feature heavily in your Taiwan packing list. Have a solid travel umbrella and a lightweight waterproof jacket with you at all times. When is autumn in Taiwan: From September to November. What to expect in autumn in Taiwan: Cooler temperatures than in summer and much less rain, especially in October and November. Average lows are between 18ºC and 27ºC (64ºF and 80ºF) and average highs are between 27ºC and 30ºC (80ºF and 85ºF). What to wear in Taiwan in autumn: Long-sleeves or a light jacket at the most. As always, carry an umbrella in your travel daypack, but don’t expect to need it as often. Autumn is an excellent time to go hiking in Taiwan. Don’t forget to pack a decent pair of hiking shoes! When is winter in Taiwan: From December until February. What to expect in winter in Taiwan: Winters are mild, foggy, and relatively dry. Average lows are between 13ºC and 15ºC (55ºC and 58ºC) and average highs are between 17ºC and 19ºC (61ºF and 65ºC). Nighttime temperatures in Northern Taiwan can dip into the single digits (mid-40sºF). What to wear in Taiwan in winter: Long-sleeved shirts and a versatile all-season coat. Layer it up to keep onto of the quickly-changing winter Taiwan weather. Visiting Taiwan on a time crunch? Make the most out of it with this complete 2-day Taipei itinerary! Overview: January is the coldest month in Taiwan, but still relatively mild by North American or European standards. Average lows are 13°C (55°F) and average highs are 16°C (61°F). Where to go in Taiwan in January: For the warmest winter weather, head toward the sunny skies of Southern Taiwan. Chinese New Year sometimes falls at the end of January. Be sure to book your hotels and flights to Taiwan well ahead of time if you’re planning to go at this busy time of year. Want to stay connected while visiting Taiwan? Get unlimited 4G internet connectivity with a budget-friendly Pocket WiFi device rental! Includes FREE pick-up at all major airports in Taiwan. Overview: February is slightly warmer than January with more rainfall throughout the country. Average lows, mostly centered around Northern Taiwan, are 10°C (50°F) and average highs are around 25°C (77°F). Where to go in Taiwan in February: Southern Taiwan is warmer and sunnier in February than Northern Taiwan. Chinese New Year usually takes place in February. It’s a colourful time in Taiwan, but also one of the busiest. Reservations are crucial, especially if trying to score one of the best places to stay in Taipei. Overview: Both the temperatures and rainfall pick up heading into March. The month is generally milder than February with an average low of 14°C (58°F) and an average high of 18°C (65°F). Where to go in Taiwan in March: The tropical south is warm enough for a beach vacation while the weather in Northern Taiwan is a bit of a mixed bag. Museums and hot springs resorts are popular at this time of year with the relatively cool weather and increased rainfall. Want to zip around Taiwan without hassle? Pick up a 3-Day Taiwan High Speed Rail Tourist Pass to check out the island’s main tourist sites quickly while saving money! Overview: The temperature becomes more pleasant moving into April, but rainfall begins to ramp up towards the end of the month as summer approaches. Average low temperatures are 19°C (66°F) and average highs sit around 23°C (74°F). 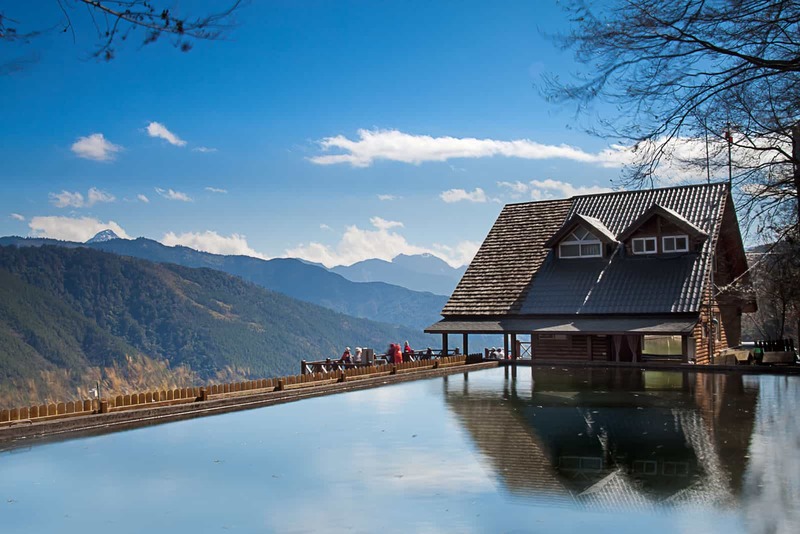 Where to go in Taiwan in April: In April, Northern Taiwan is drier than Southern Taiwan. 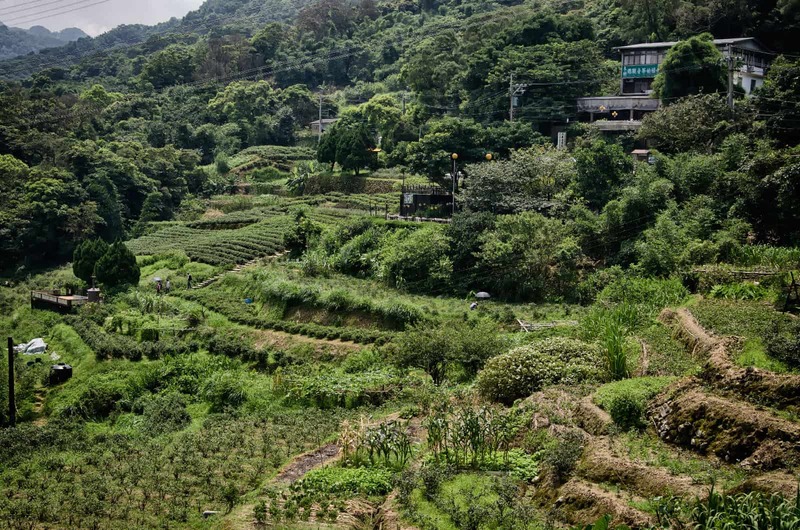 It’s a great time to frolic in the bright spring colours of Yangmingshan National Park or hike up Elephant Mountain in Taipei before the oppressive heat, humidity and typhoons of summer hit. Overview: The rainy season (un)officially starts in May. Prepare for an almost daily smattering of afternoon thunderstorms to unleash the heat and humidity. The average low temperature is 21°C (61°F) with an average high of 26ºC (79°F). Expect Southern Taiwan to peak into the 30s. Where to go in Taiwan in May: In May, the spring colours are out in full force. Visiting the Taiwan national parks is a great choice at this time of year. Dress for the weather and bring a travel umbrella! 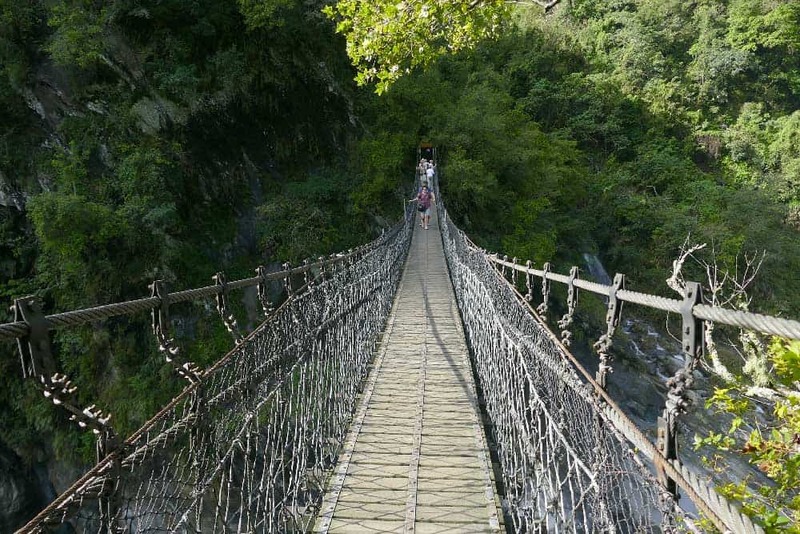 Craving some outdoor adventure in Taiwan? 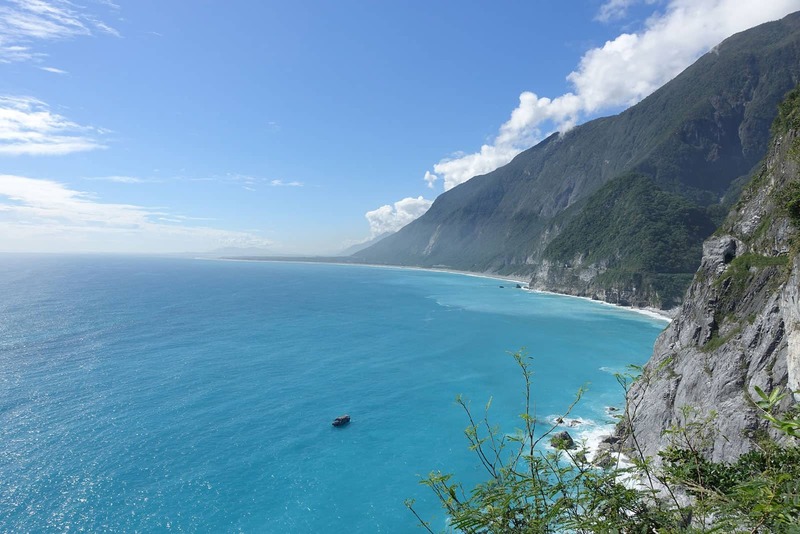 Scope out some of the country’s best late spring scenery before the heat & humidity of summer kick up on the incredible 2-Day East Coast and Taroko Gorge Scenic Tour! Overview: With the summer officially hitting Taiwan, both the heat and rainfall pick up. Average lows sit at about 24°C (75°F) and average highs are 27°C (80°F). Once again, Southern Taiwan is hotter, soaring into the low-30s at times. June is the rainiest month in Taiwan. Plan to get soaked! Where to go in Taiwan in June: As the south is rainier and hotter, Northern Taiwan is your best bet for Taiwan in June. Staying in the cities ensures you’re never far from shelter should a storm shatter your Taiwan travel plan. You’ll probably always enjoy the abundance of air-conditioned shops and restaurants in Taipei! Overview: July in Taiwan becomes ultra hot and humid. Afternoon thunderstorms brew quickly and typhoons are never out of the question. The average low temperature is 26°C (78ºF) and the average high is 28ºC (83ºF). Expect temperatures with the humidex to climb to 35°C (95ºF). Or more! Where to go in Taiwan in July: Unless you have lungs of steel, serious hiking is probably out of the question. Travelling in Taiwan in July means frequent, often weather-induced, breaks. Bring along a travel water bottle to keep yourself hydrated! An urban environment with plenty of opportunity for shelter and air-conditioned indoor activities is a good idea. East Coast National Scenic Area. Entrance fees, transportation to & from Taipei by air-conditioned coach, four nights of 5-star accommodations, and breakfast are included. Overview: The heat soars into August with an average low of 28ºC (82ºF) and and average high of 31ºC (87ºF). As you’d expect, thunderstorms rock out frequently on August afternoons. The not-so distant chance of an epic typhoon will either excite or terrify you. 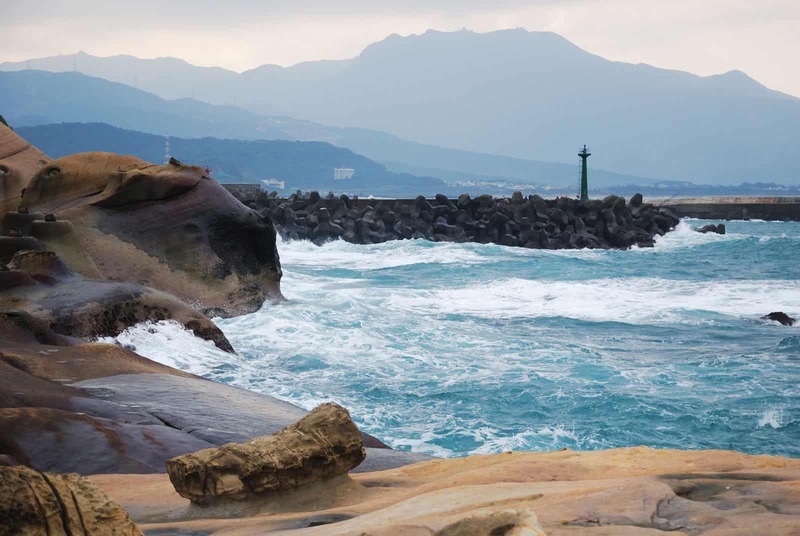 Where to go in Taiwan in August: To cool off from the extreme heat and humidity, pop into the beaches of Southern Taiwan for a dip. 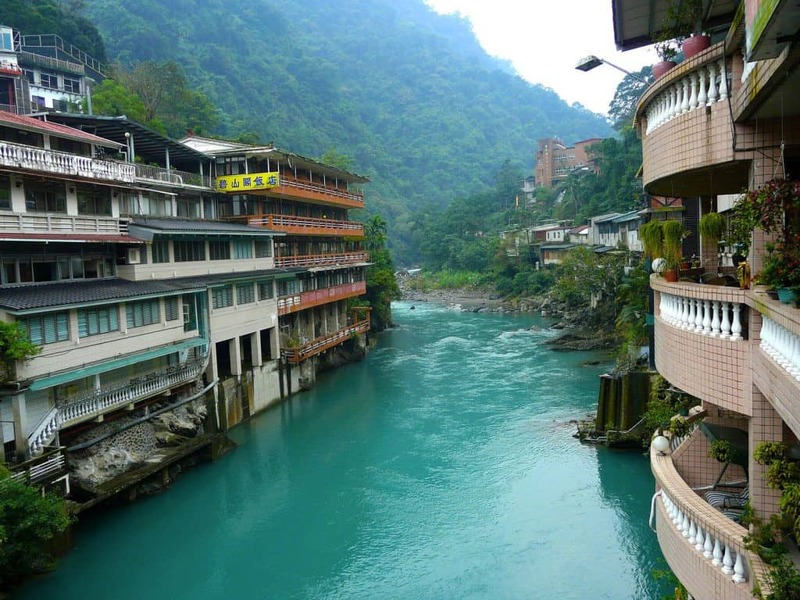 Taroko Gorge is also popular in August as the summer temperatures are a little more reasonable here than elsewhere in the country. Overview: The official start of Taiwan’s autumn sees balmy average lows of 27ºC (80ºF) and average highs of 29ºC (85ºF). The south remains warm while the north cools off towards the end of September. Rainfall drops off from August, but is still significant. Where to go in Taiwan in September: The beaches of Southern Taiwan are still buzzing in September as sun-worshippers soak up the last month of big heat. Nearly everywhere in Taiwan is more pleasant in September than in July or August. Ready to dig into Taiwan’s great outdoors? Discover Taiwan’s stunning natural beauty on a 3-Day Sun Moon Lake, Puli and Alishan National Scenic Area Sightseeing Tour! Includes round-trip transportation from Taipei and two nights of 4- to 5-star accommodations. Overview: Autumn is in full swing by October. Average temperatures “dip” down to a low of 23ºC (74ºF) and a high of 26ºC (79ºF). Rainfall tapers off quite a bit compared to summer, especially later in the month. Where to go in Taiwan in October: As long as you avoid the Mid-Autumn Festival, sometimes falling in early October, the month is one of the quietest times of year to travel while still retaining high temperatures. With milder temperatures and reduced rainfall compared to the summer months, October is one of the best times to explore Taipei and other Taiwanese cities. Dig into all the best things to do in Taipei in October to make the most out of the more comfortable temperatures! Overview: November is cooler than October with less rainfall. Average low temperatures hover around 18ºC (64ºF) with average highs at 26ºC (80ºF). Where to go in Taiwan in November: Taiwan’s national parks become magnets as people flock to wallow in the bright fall colours. Hot spring resorts like Beitou are also popular in autumn. Since November is definitively low tourist season, you’ll find plenty of space to enjoy the country in relative peace. Cooler evenings make November the perfect time to explore Taipei’s night markets. Want to move beyond Taipei? Take on new Taiwanese horizons on a 4-Day Central & Southern Taiwan Tour! Highlights include the majestic Sun Moon Lake, the ornate temples of Lukang, and the delightful seaside charms of Kenting National Park. Overview: December is one of the coldest months in Taiwan. Expect average lows around 13ºC (55ºF) and average highs of 18ºC (64ºF). Along with November, December is, on average, the driest month in Taiwan. Where to go in Taiwan in December: Things start to get chilly in December. Mountain retreats like Yangmingshan National Park are far less comfortable at this time of year. Southern Taiwan retains some of the heat in December with beaches like Kenting Beach still warm enough to swim in. The best month to visit Taiwan is either November or April. With the extreme heat of summer and rainy season long gone, visiting Taiwan in November is a brilliant option. On average, November is the driest month (tied with December), and warm, comfortable temperatures still remain throughout Taiwan. 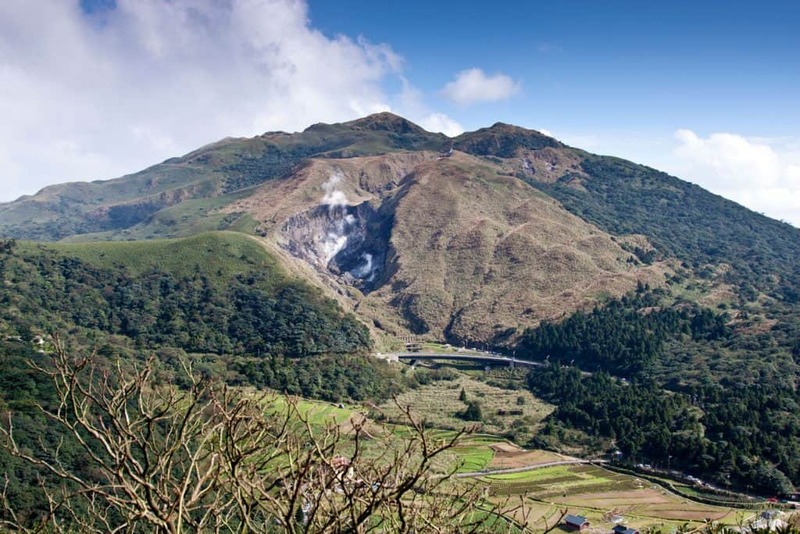 November is one of the best times of the year to experience places like Yangmingshan National Park where the fall colours are out in full force. It’s also a far more comfortable month for urban explorers and for escaping Taipei on a day trip. Taiwanese cities like Taipei and Kaohsiung can get oppressively hot (and wet) in summer, so November is a welcome change! Perhaps the biggest advantage to visit Taiwan in November is the lack of crowds. Finding flight deals to Taipei and discounted accommodation will be much easier. Who knew that choosing the best time to visit Taiwan could also save you money? If you can’t travel in November, visiting Taiwan in April is the next best alternative. The earlier in April you can make it the better, as rainfall starts to creep up towards the end of the month. Heading into late spring, the temperatures in Taiwan are starting to warm up, making it a comfortable trip without the extreme heat of a Taiwanese summer. By April, the spring bloom is also in full swing. Along with May, April’s the most colourful time to travel around Taiwan! Despite all its perks, however, April falls in Taiwan’s high-tourist season. Flights to Taiwan will be harder to come by (mainland Chinese will be flocking here by this time) and accommodations will book up quickly. Visiting in Taiwan in April may involve tight travel planning and a slightly beefier travel budget.